Anti-ageing and anti-wrinkle treatment with light fusion facial therapy. We are proud to offer a breakthrough anti-ageing skin treatment. This is a revolutionary and clinically proven technology for smoother, tighter and younger looking skin. First of all, Light Fusion Photo-Facial applies a hydrogel mask containing high concentration of seaweed marine collagen. Furthermore, it simultaneously stimulates cells beneath the surface of the skin. As a result it creates a healthy, young looking skin. 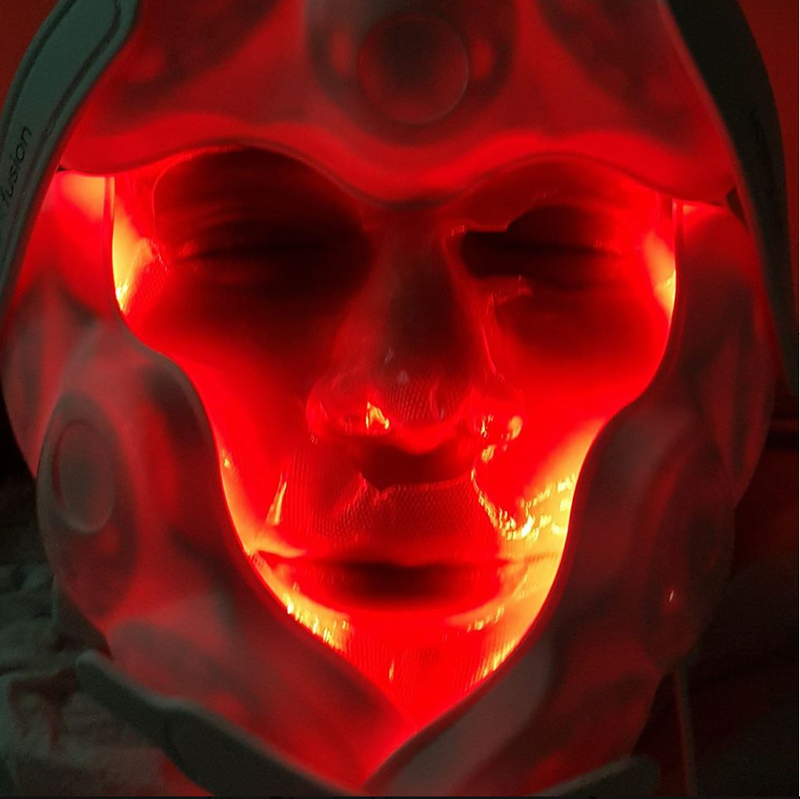 Light Fusion uses state of the art LED light with specific wavelengths. Consequently, it energises skin cells and what is especially relevant, it helps to promote growth of collagen and elastin. Most of all, they are essential for the fight against the ageing process. Light therapy, like laser and LED light, blasts your skin with beams of light to mimic a wound and put your skin cells into a repair mode. The 20min light therapy facials give flawless skin with zero downtime. It is best to have facials at weekly or at least monthly basis to maintain skin healthy. That allows to establish a regular routine which help to keep your skin clean, bright and healthy. In addition the LightFusion utylises two wavelenghs 633nm (red light) and 830nm (near infra-red). Most noteworthy, they stimulate collagen production. As a result skin elasticity is improved with greater blood flow and tissue oxygenation. Finally, this is cooling and deeply hydrating session to the skin. Moreover, it is relaxing and spa-like experience. Consequently, there is no pain, no downtime and no side effect treatment. Face skin will benefit after a course of treatments. Among many, there will be a wrinkle reduction visible. Moreover, a brighter complexion and better tone is also noticeable. Concluding, the most relevant result is long lasting, anti-ageing and slowing down effect of time and gravity on our face.